Posted on January 17, 2017 by Evan G.
It’s always tragic when one takes their own life. Ned Vizzini, the author of this highly acclaimed novel, did so at age 32. His death lends so much more meaning to this book about a 15-year-old battling depression and suicidal thoughts. In the story, teen Craig Gilner has absolutely nothing to complain about in life. He’s got a good, loving family, great friends, and goes to one of the hardest to get into schools in Manhattan. Which is why he can’t figure out why he’s so depressed. He can’t eat, he can’t sleep, and every day is another waking nightmare. So finally, he decides he’s going to do something about it and kill himself. But Craig isn’t an idiot, he realizes something is very wrong with him. He calls the suicide hotline and checks himself into a hospital, where he is sent to the mental ward. While there, he learns about the truths behind the other patients, and more about himself than he’d ever known. Written in a tone of humor mixed with tragedy, this incredible story brilliantly illustrates how severe depression really is, and how to try to beat it. You feel as if you know Craig personally, and are constantly rooting for him. This is because he talks to the reader casually, as he would a close friend, making him all the more relatable. When I read this book the first time through, I had unfortunately skipped the forward and didn’t find out that the author had actually killed himself until someone I had recommended it to told me. This was devastating, as I grew so close to the main character (who was based very closely on the author). 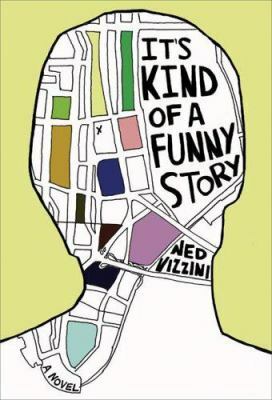 This story is incredible, not only because of how well-written it is and how relatable the characters are, but because shortly before writing this book, Ned Vizzini, himself, was admitted into a mental hospital for suicidal thoughts and wrote It’s Kind of a Funny Story based on his real-life experiences there. This is a book that should be read by everyone, old and young, depressed and not, because people need to wake up and seriously look at this issue. I would, however, keep this book out of the hands of children twelve and under. As many of my friends struggle with depression, this book really helped me to understand. Highly recommend! It’s Kind of a Funny Story is available for checkout from the Mission Viejo Library. It is also available for download from Overdrive. Posted on November 29, 2016 by Evan G.
If you’re one of the ten people who didn’t see the movie, The Martian is a book about an astronaut who gets accidentally abandoned on Mars and his efforts to make his way home. In this perfect blend of Cast Away and Interstellar, Mark Watney (portrayed in the movie by Matt Damon) must survive adversity after an explosion strands him on the red planet. The story of his survival on Mars is told to the audience through daily logs. It feels as if Watney is talking directly to the reader. The Martian truly illustrates how anything is possible, no matter how terrible the odds, and that humanity’s greatest virtues is its ability to overcome. The Martian is the first interesting science textbook I’ve ever read. I know that it’s technically not a textbook, but it pretty much is, just written in the first person and with a story. Andy Weir literally explained every single piece of the science in the book in detail. I mean, there’s nothing wrong with that, it just probably goes over the head of anyone not extremely interested in Science. I think I learned more Science from reading this book than I have in school for the past three years. The book The Martian doesn’t get as much credit as it deserves. In fact, it was almost cheated by the movie. Not that the movie was bad, actually it was really good and followed the book really well. The issue is that, because the movie was so popular and so good, a much larger group of people just watched the movie and forgot it was even based on a book. Even I saw the movie first, so the book felt more like a movie novelization. That said, it is still 100% worth reading, and I highly recommend. The Martian is available for checkout from the Mission Viejo Library. It is also available for download from Overdrive. Posted on September 9, 2016 by Evan G.
The Last Star is the third installment of The 5th Wave, the #1 New York Times bestselling series by Rick Yancey. It takes main characters Cassie Sullivan: a girl who has only survived this long by shelving her own emotions for the greater good, Ben “Zombie” Parish: a high school quarterback turned strike team commander with nothing left to lose, Marika “Ringer”: a former human transformed into a super powered alien weapon who is nearly unkillable, and Evan Walker: an Other who has developed a conscience, through war upon death upon betrayal upon apocalypse as they desperately try to fight back against the god-like “Others” who have all but destroyed the human race. Together, the survivors must face impossible odds, risking the lives of not only themselves, but those whom they love to defeat, an unseen enemy they aren’t even sure exists. And, if that wasn’t bad enough, certain Others may have taken human form, and what remains of the human race can’t even trust themselves. To survive, each person must endure challenges and do deeds they would have never thought possible, including murdering an old lady in cold blood and going into mechanical warfare against a genetically altered priest. And the one question they must ask themselves remains the same: what is humanity if you take away that which makes us human? I loved this book and the entire trilogy. It’s just such a uniquely written masterpiece that truly tampers with human emotion like no other piece of literature I’ve read before. 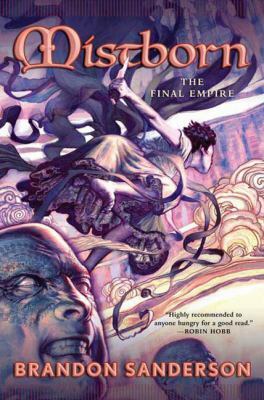 It brilliantly examines each piece of the story from different points of view with its four unique narrators, and twists the story upon itself so many times that it’s impossible to predict the ending, which was not at all disappointing by the way. My favorite part of this series is the way that it describes an alien takeover. In real life, if aliens ever decided to come take over Earth, they wouldn’t land in dinky little ships and come out with little laser guns. In real life, the aliens would do exactly what they do in this series, which you’ll have to read to find out. I wouldn’t change anything about this book, even if I could, it was just that well written. I would and have recommended this book though I felt the first movie was a weak showing of the book. People who are fans of Sci-Fi, apocalyptic stuff, survival shows, or anything made by Michael Bay would enjoy this series. 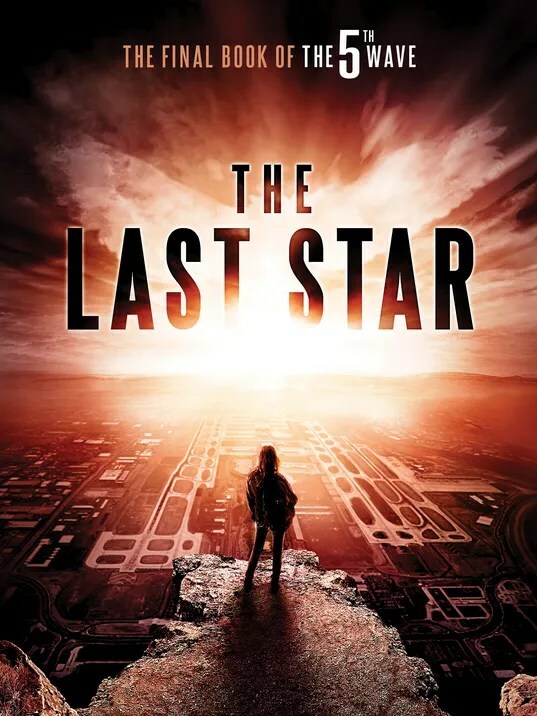 The Last Star is available for checkout from the Mission Viejo Library. It is also available for download from Overdrive. Posted on May 18, 2015 by Evan G.
What would happen if suddenly, hundreds of random people across the world got incredible super powers including flight, control over the elements, invulnerability, precognition, and hypnotism? David Charleston has spent his whole life researching these super humans, or Epics as they’re widely called, and may finally get his chance for revenge on the Epic who killed his father, Steelheart. But if it’s going to work, he needs the help of The Reckoners, a group of undercover agents who kill off Epics by using technology, wit, and sometimes their own two hands. Oh, and it helps when they’re facing their imminent death with absolutely no chance of survival. 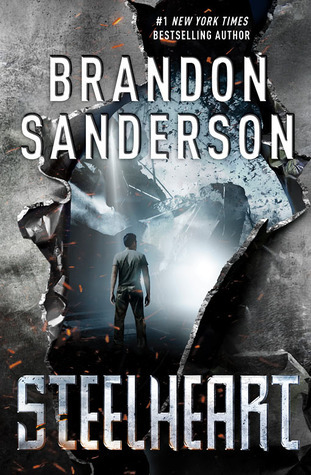 But even so, Steelheart is the toughest target that they’ve ever gone after and it will take everything that they’ve got, and a little more, to have a chance at taking him down. 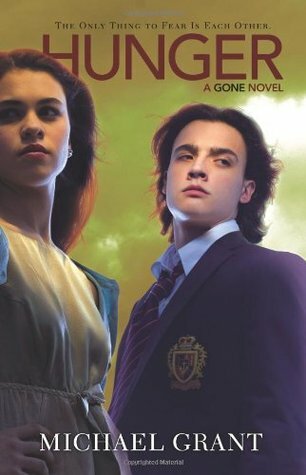 I enjoyed reading this incredible book, because, like Gone by Michael Grant, it provides many deep ideas with little explanation, giving the reader a larger impact over how they picture the story. It was extremely fun to read and extremely hard to put down. I loved this book so much that I finished it the day after I got it. I recommend this book to comic nerds, and fans of Gone, Doctor Who, The Maze Runner, The Hunger Games, Divergent, I Am Number Four, The Giver, and any other science fiction novel. The only problem is that, once started, it will be practically impossible to think about anything else until you’re done, and even then, you’re going to want the sequel! Posted on May 4, 2015 by Evan G.
Three months after all the adults disappeared in the blink of an eye, 15 year old Sam Temple is holding together what remains of the city, but as food starts to become scarce, the problems start to pile up. From children developing superhuman abilities to a powerful entity hungry in the dark, what’s left of society is starting to crumble. Sequel to the best selling novel Gone, Hunger is an emotional and deep story that deals with the stress of leadership and overall guilt. The first book ended in major suspense and this book has followed its lead. I originally picked up Gone because it seemed very similar to a book I loved called The Young World by Chris Weitz who had come to speak to us bloggers at the Mission Viejo Library/City Hall last year. Hunger has been a fascinating sequel. It takes the reader away from everyday drama and stress by wrapping them up in this malicious world. This helps the reader to appreciate their own life so much more after they put this book down. I would recommend this book to anyone who wants a temporary distraction from their own life as it is riveting, interesting and easy to get stuck in. I enjoyed this book and am already starting the next one in the series, Lies. Posted on April 1, 2015 by Evan G.
Christopher John Francis Boone has some “behavioral issues.” These include social awkwardness, thrashing out when touched, a powerful loathing of the colors yellow and brown, constant irrational behavior, and being very racist toward France. The story starts with Christopher staring out of his bedroom window in the middle of the night when he notices a dog, lying on the ground with a pitchfork sticking out of its side. He decides then and there that he would find out who it was that murdered the dog. This is some of the “irrational behavior” that I mentioned above. On his quest, he is arrested, threatened by a drunk, and finds out devastating family secrets that he was never meant to know. This book is not for the prim and proper or easily offended and the many twists and turns will lead you to a conclusion that you would never expect. 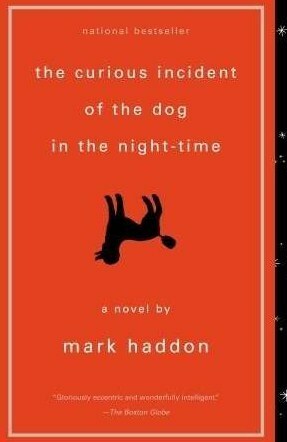 This is not a book I would typically pick up because the title and cover page just shows an upside down poodle. It was given to me as part of the NPR top 100 recommendations list for teens so I took a crack at it and have to say I was pleasantly surprised and it is actually really good. But seriously, the grownups throughout the story cuss, cuss, cuss throughout the entire book which I don’t think has anything to do with taking place in London. It is over the top cussing from these unsavory characters. I am laughing as I write this because of the appalling use of language on every page.